Discussion in 'Femmes' started by lanvinray, Dec 10, 2009. Johanna was discovered via a TV show actually Saw it and immediately fell in love with her She seemed pretty much down to earth and very natural. She's not been discovered in a TV show, she was with Mega long time before. Her face is amazing, though. ^ Oh, she was? Well I saw her @ "Model in one day" (or however it was called ) and they didn't say anything about an already exisiting contract. Anyways: she's a real stunner! that girl is craaaaazy I met her just 2 hours ago ! anyway I love her face ,its quite unique I think! Really? that is so fetch! Now she's with Iconic Management. 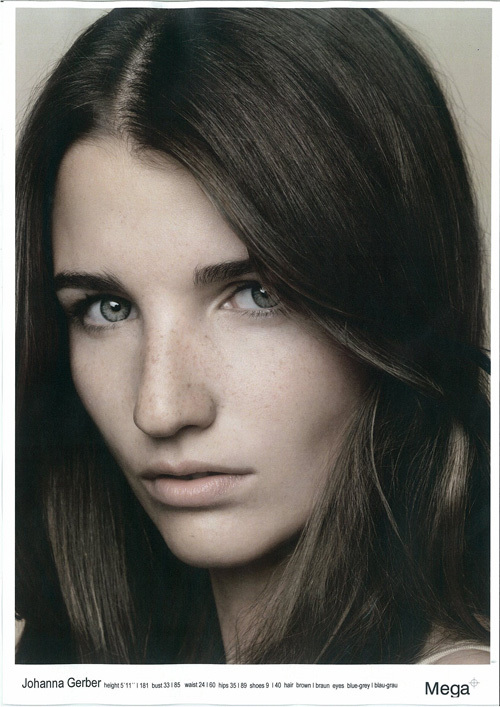 Johanna is now "Sophie" and with M4 Models. ^wow! I'm happy for Johanna!